Look around and you will see the most popular choice of window replacement style is the standard casement window due to its ease of use and all-round versatility of design. Put simply, it has hinged opening sections (lights) along with fixed panes, giving you the look that is familiar in conventional wooden windows combined with all the long life, low-maintenance and enhanced warmth and security of modern UPVC window frames. Whatever style you choose, you can be sure that our Veka windows not only use unique, top quality extrusions and locks but also are built to a standard that ensures you get the very best out of your window replacement that it is possible to achieve today. Our Maco locks are so good that the lock company will pay your insurance excess up to £1,000 should you have the unfortunate experience of being burgled through failure of the locking mechanism. When you talk to Bahama you already know you have chosen a company that has trained its staff to exacting standards in surveying and installation. You can then be sure that, unlike many window suppliers, the window you choose will be the one to suit your requirements that will also be designed, manufactured and installed to look great and last for years to come. Your peace of mind is also assured, thanks to the unrivalled Ten-Year Insurance Backed Guarantee that every member must offer every customer at minimal charge – a claim that very few other double glazing suppliers can make. To be able to offer this Network Veka guarantee, a company has to comply to exacting standards which includes regular ongoing training of installers, surveyors and sales staff to be the best in the industry. Recent training in 2012 includes Window Energy Ratings, the new Government Green Deal, CE product marking and MTC's - Minimum Technical Competence requirements. For information on energy ratings click here and for triple glazing energy saving click here. For Energy saving FAQ click here. 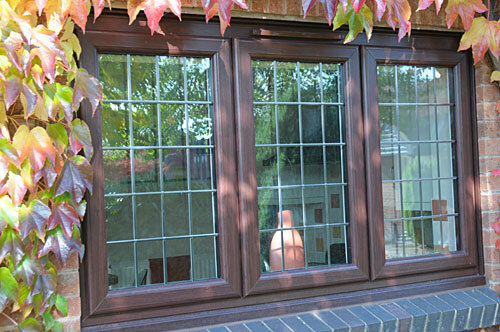 For information on VEKA UPVC Window Security click here. For information on Maco locks click here.